Jordan Todman set the tone early for the Indianapolis Colts on special teams and Andrew Luck made the clutch throws late. 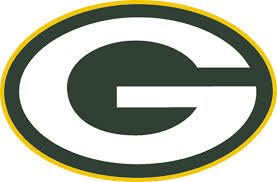 In between, the defense made just enough plays to hold off Green Bay despite the Packers' frantic fourth quarter. The Colts survived for a 31-26 win on Sunday after letting an 18-point lead with 9:35 left nearly disappear. Todman had a 99-yard return for a touchdown on the opening kickoff, Frank Gore rushed for two touchdowns and Luck shook off two interceptions in the first quarter to finish with 281 yards passing and a touchdown. Todman added a 61-yard kickoff return in the second quarter. Rodgers' 3-yard touchdown pass to Randall Cobb with 3:29 left got Green Bay (4-4) within five, capping a 14-point spurt in four-plus minutes. Rodgers finished 26 of 43 for 297 yards with three scores and an interception. Luck then dodged a potential sack by blitzing safety Ha Ha Clinton-Dix to throw a 20-yard pass on third-and-10 with 3:07 left to tight end Jack Doyle. Luck also found T.Y. Hilton for a 27-yard completion on third-and-2 with 2 minutes left to put the game away. He finished 23 of 36, throwing both interceptions to safety Clinton-Dix. The Packers defense gave up at least 30 points for a second straight game, and special teams also hurt them. Green Bay begins a stretch of three straight road games with a trip to Tennessee on Nov. 13.